You are browsing the archive for Macedonia. 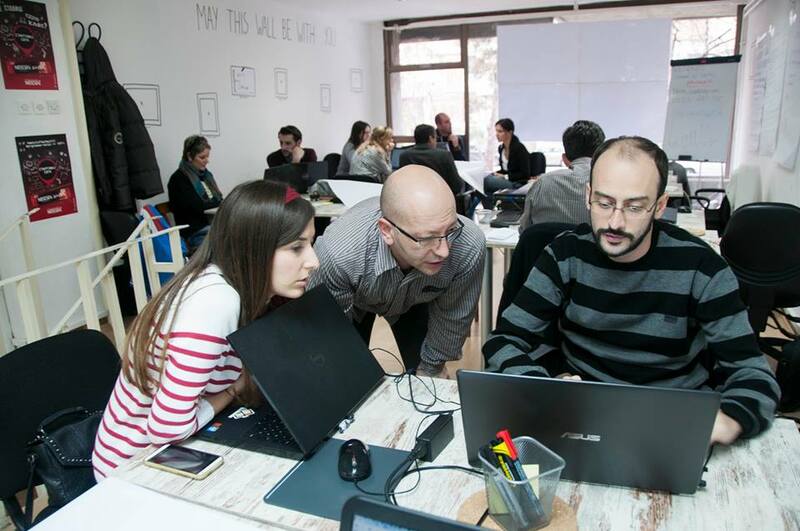 Data journalism in Macedonia just got a lot stronger: a group of journalists and programmers started what could become the first data-journalism agency in the country. The group was part of the two-day workshop organised by folks at School of Data Macedonia, from member organisation Metamorphosis Foundation, as part of the ongoing support the British Embassy is providing in the region. The rainy weekend (November 28th & 29th) didn’t stop 17 journalists from getting together to learn the basics of the Data Pipeline: getting, cleaning, validating, analysing and presenting data for different audiences. The workshop included groups activities and hands-on sessions with tools such as OpenRefine, for data cleaning, Google Sheets, for analysis and IFTTT for scraping. Goran Rizaov, 2015 School of Data Fellow in Macedonia was one of the trainers and organisers of the training experience. We also had the support from senior fellow (2014) Dona Dzambaska, who took amazing pictures and gave general help during the sessions. Even with such a short time together, participants formed three groups and came up with prototypes of projects with great potential for the region. One of them will monitor the sporting habits of Macedonians on Twitter. “Our idea is to use hashtags and the social media API to analyse many variables, such as time of the day, the weather, which activity people are doing at the moment of the tweet, their mood, age, gender etc”, said journo-coder Bozidar Hristov, one of the members of the group. 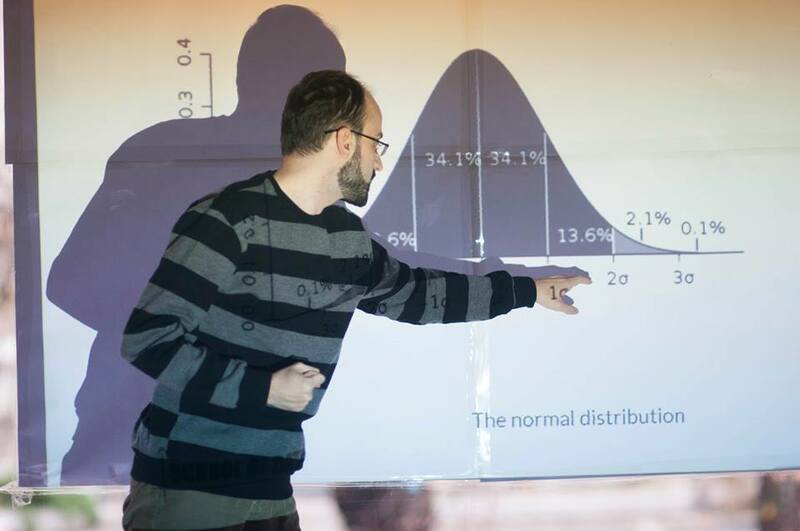 Another group wanted to take a look at the data about the turnout in Macedonian elections, using data analysis to draw conclusions about all of the regions in the country. “We’re wondering if the turnout rate has anything to do with the geographical location”, said the developer and data-wrangler Baze Petrushev. Adriana Mijuskovic and Ivana Kostovska want to start a data journalism agency in Skopje to help newsrooms publish data-driven stories. “We also want to create opportunities for journalists and programmers to work together in projects with macedonian data, also in cooperation with other networks in the Balkans”, said Adriana. 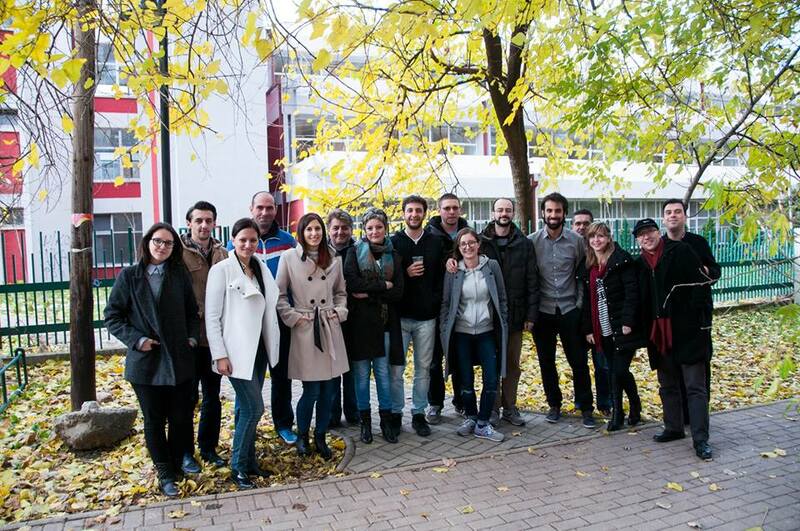 The project was welcomed by the whole group and they will meet again in the coming weeks to plan next steps. 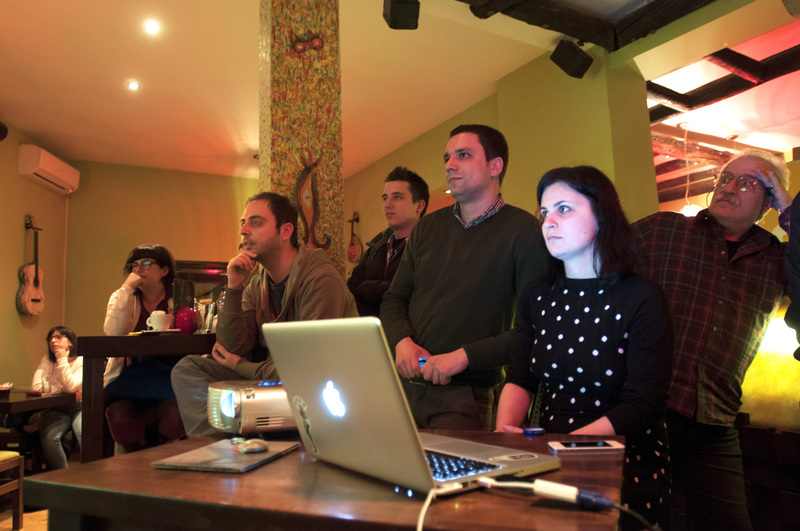 Comments Off on Heads up for the first data journalism agency in Macedonia! 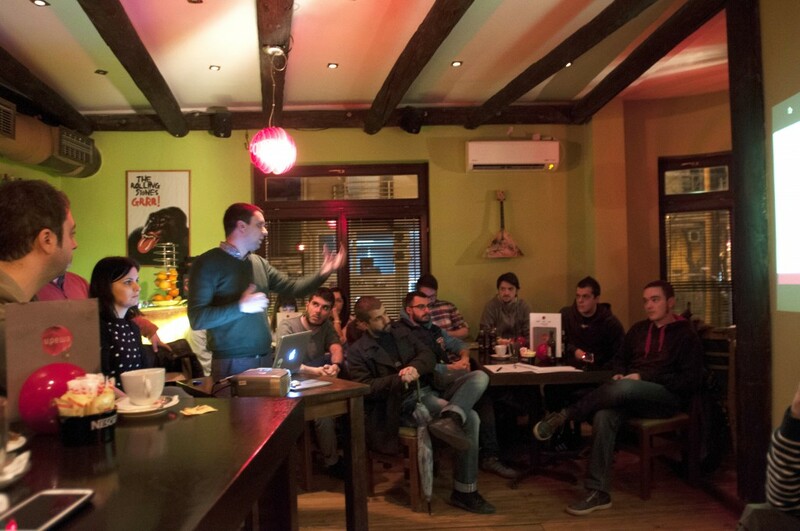 School of Data – Macedonia organised the second Open Data Meet-up ever held in Skopje. 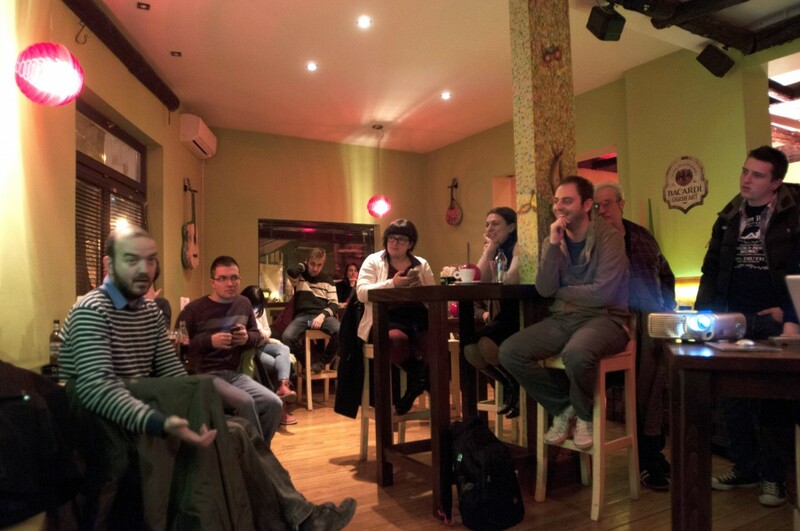 The meet-up was held on 13th of March, and more than 30 open data enthusiasts met in the Cresha cafe, where they had the opportunity to discuss and share their views and experiences related to open data. The meeting lasted for more than three hours, during which wonderful ideas were shared between the participants. Among the attendees were representatives of the British Embassy in Macedonia, as well as the director of the Metamorphosis Foundation – Bardhyl Jashari. The event started with a brief presentation by Dona Djambaska from School of Data – Macedonia (fellow from the School of Data program of Open Knowledge Foundation). She introduced the concept of open data, inspiring stories for the use of open data, and several tools for processing (open) data. Among the participants was Kostadin Mishev – member of the Regional Centre for Social Innovations which is part of the Faculty of Computer Science and Engineering (FINKI) in Skopje, as well as part of the team on the same faculty, that works on sematic web and open data. He shared his experiences on developing many open data based mobile and web applications, as well as many tips and tricks on the process of working in the field. Another participant who shared his great experience during the meet-up, is Gorjan Jovanovski, developer of the My Air mobile (and web) application. The app publishes data on the air quality/pollution in different cities around Macedonia, as well as offers a wonderful way of visualising the same measurements. It’s once again time for us to proudly announce the establishment of a new batch of Open Knowledge Local Groups, founded by community leaders in Macedonia, Pakistan, Portugal and Ukraine, which we hereby welcome warmly into the ever-growing family of Local Groups. This brings the total number of Local Groups and Chapters up to a whopping 58! 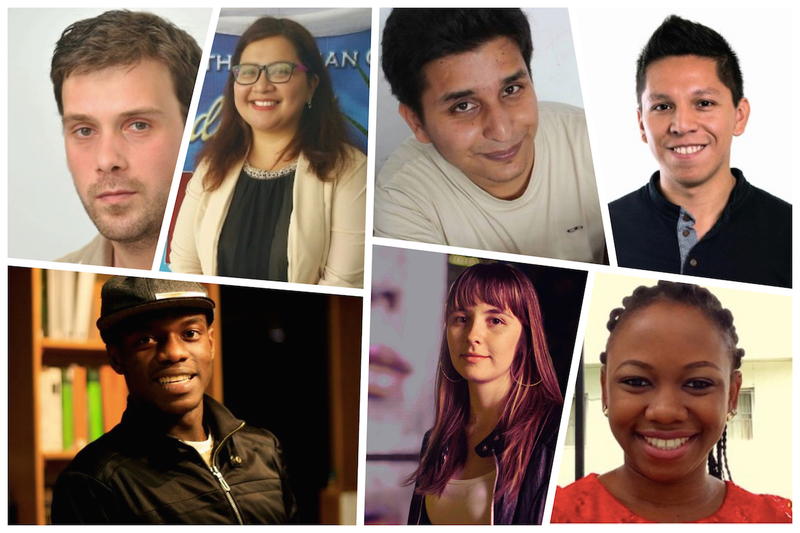 In this blog post we would like to introduce the founders of these new groups and invite everyone to join the community in these countries. In Macedonia, the Local Group has been founded by Bardhyl Jashari, who is the director of Metamorphosis Foundation. His professional interests are mainly in the sphere of new technologies, media, civic activism, e-­government and participation. Previously he worked as Information Program Coordinator of the Foundation Open Society – Macedonia. In both capacities, he has run national and international­scope projects, involving tight cooperation with other international organizations, governmental bodies, the business and the civic sector. He is a member of the National Council for Information Society of Macedonia and National Expert for Macedonia of the UN World Summit Award. In the past he was a member of the Task Force for National Strategy for Information Society Development and served as a commissioner at the Agency for Electronic Communication (2005­-2011). Bardhyl holds a master degree at Paris 12 University­Faculty of Public Administration (France) and an Information System Designer Degree from University of Zagreb (Croatia). To get in touch with Bardhyl and connect with the community in Macedonia, head here. The new Local Group in Pakistan is founded by Nouman Nazim. Nouman has worked for 7+ years with leading Public Sector as well as Non Government Organizations in Pakistan and performed variety of roles related to Administration, Management, Monitoring etc. He has worn many other hats too in his career including programmer, writer, researcher, manager, marketer and strategist. As a result, he have developed unique abilities to manage multi-disciplinary tasks and projects as well as to navigate complex challenges. He has a Bachelor degree in Information Sciences and is currently persuing a Master’s degree in Computer Science besides working on his own startup outside of class. He believes open data lets us achieve what we could normally never be able to and that it has the potential to positively change millions of lives. In the Open Knowledge Pakistan Local Group Nouman is supported by Sher Afgun Usmani and Sahigan Rana. Sher has studied Computer sciences and is an entrepreneur, co-founder of Yum Solutions and Urducation (an initiative to promote technical education in Urdu). He has been working for 4+ years in the field of software development. Shaigan holds a MBA degree in Marketing, and is now pursuing a Post-Graduate degree in internet marketing from Iqra University Islamabad, Pakistan. His research focuses on entrepreneurship, innovation and open access to international markets. He is co-founder of printingconcern.com and Yum Solutions. He has an interest and several years experience in internet marketing, content writing, Business development and direct sales. To get in touch with Nouman, Sher and Shaigan and connect with the community in Pakistan, head here. Open Knowledge Portugal is founded in unison by Ricardo Lafuente and Olaf Veerman. Ricardo co-founded and facilitates the activities of Transparência Hackday Portugal, Portugal’s open data collective. Coming from a communications design background and an MA in Media Design, he has been busy developing tools and projects spanning the fields of typography, open data, information visualization and web technologies. 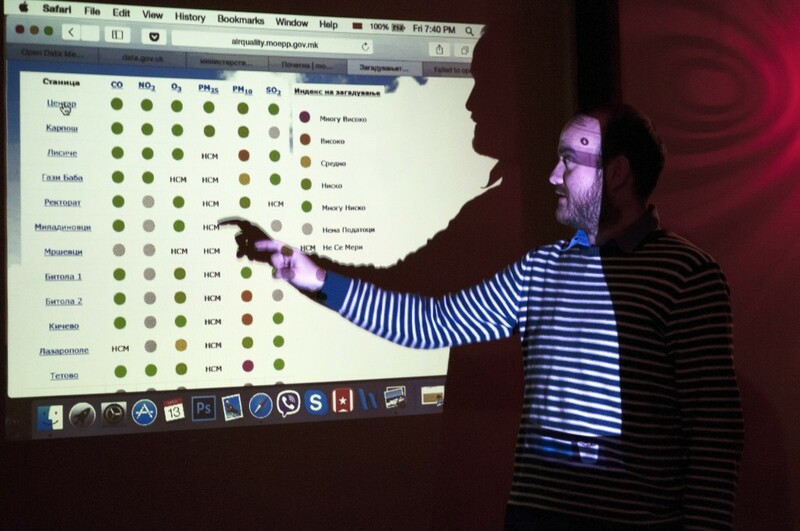 He also co-founded the Porto office of Journalism++, the data-driven journalism agency, where he takes the role of designer and data architect along with Ana Isabel Carvalho. Ana and Ricardo also run the Manufactura Independente design research studio, focusing on libre culture and open design. Olaf Veerman leads the Lisbon office of Development Seed and their efforts to contribute to the open data community in Europe, concretely by leading project strategy and implementation through full project cycles. Before joining Development Seed, Olaf lived throughout Latin America where he worked with civil society organizations to create social impact through the use of technology. He came over from Flipside, the Lisbon based organization he founded after returning to Portugal from his last stay in the Southern hemisphere. Olaf is fluent in English, Dutch, Portuguese, and Spanish. To get in touch with Ricardo and Olaf – and connect with the community in Portugal, head here. Denis Gursky is the founder of the new Open Knowledge Local Group in Ukraine. He is also the found of SocialBoost; a set of innovative instruments incl. the open data movement in Ukraine, that improves civic engagement and makes government more digitalized — thus accountable, transparent and open. He is furthermore a digital communications and civic engagement expert and works on complex strategies for government and the commercial sector. He is one of the leaders of the open government data movement in Ukraine, supported by government and hacktivists, and is currently developing the Official Open Government Data Portal of Ukraine and Open Data Law. To get in touch with Denis and connect with the community in Ukraine, head here. Photo by flipside.org, CC BY-SA.